No Prescription Required, Treat Yourself Privately at Home. 100% NATURAL OTC TREATMENT- GUARANTEED TO WORK. Tinea Versicolor, while harmless, causes real embarrassment, looks bad and you just want it gone! At Naturasil, our 15 years of treating Tinea Versicolor quickly, effectively and naturally has made us a trusted market leader! 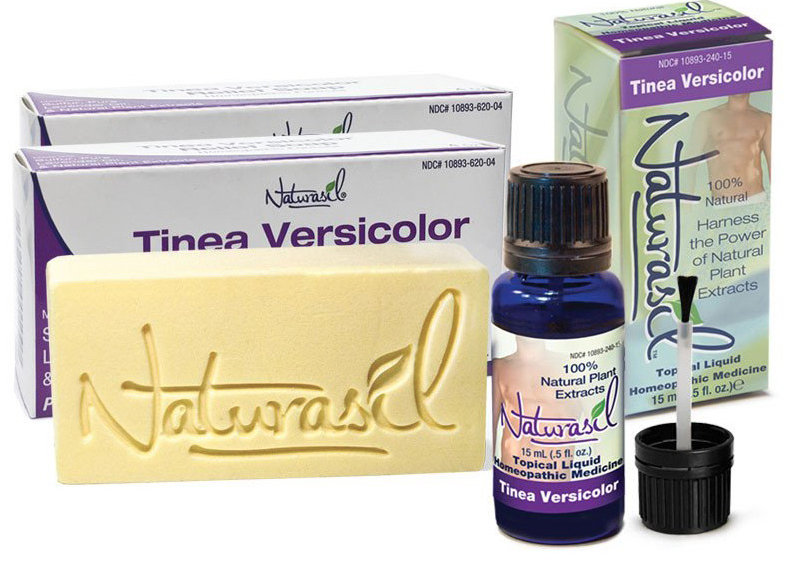 Naturasil Tinea Versicolor Medicated Soap is a all-natural, soap that cleanses skin of all unwanted dirt, bacteria, and fungi and assists in healing Tinea Versicolor Fungus Infections. * This is an FDA registered homeopathic soap and as part of a more complete Solution is suited for use alone on small cases of Tinea Versicolor. 2- Return to the sun even out your coloring...Done! Important! For faster results or for heavy casescovering large areas we recommend adding our Tinea Versicolor Liquid to your treatment for a complete solution! See more options and learn more below ! Try Naturasil's Tinea Versicolor Treatments for 90 days and if it does not work for you, you'll get your money back! We think you will see results much faster than that (Just a few short days), so there's no risk giving it a try! Let's eliminate this problem for you today! What Makes Naturasil Tinea Versicolor Treatment Unique? - Simple! It Works Naturally With Your Body to Quickly Clear Your Skin in Just Days! Our easy treat at home solutions contain no chemicals, toxins or steroids, rather they are blended from natural products that are proven to work with your body to quickly and safely get rid of Tinea Versicolor ! We guarantee it! Act now! Don't let Tinea Versicolor continue to spread. It's time to eliminate those embarrassing splotchy spots and feel confident again. Here's how. 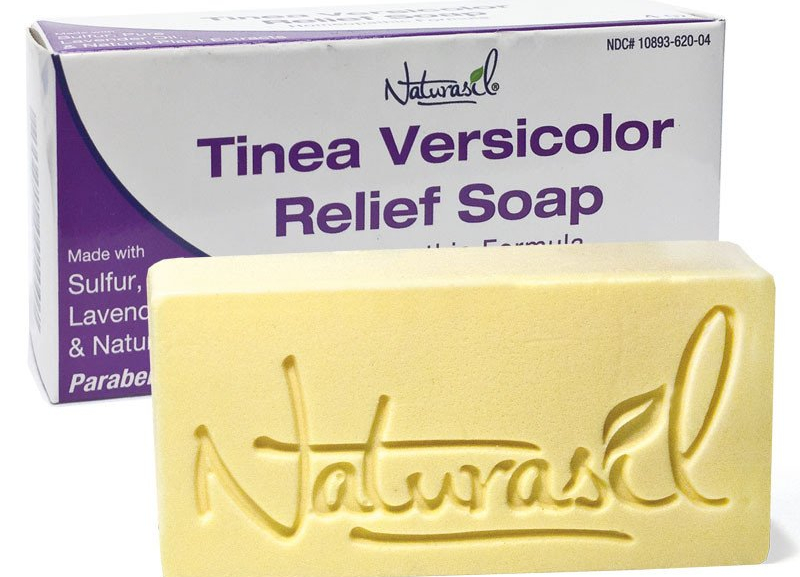 Naturasil Tinea Versicolor Medicated Soap is a palm kernal and coconut oil based homeopathic soap with micronized volcanic sulfur soap and pure lavender oil. We recommend using Naturasil Tinea Versicolor Medicated Soap to assist in the treatment of the common fungal infection, Tinea Versicolor*. Our topical naturally treats Tinea Versicolor without the harsh internal chemical treatments found in many traditional Tinea Versicolor Treatment methods*. Many drug treatments are very expensive and can cause damage in some patients. Naturasil uses only the finest plant extracts and essential oils. There are no fillers, just pure product. (1) 15mL bottle of anti-fungal Tinea Versicolor liquid with (2) bars of Naturasil Tinea Versicolor Medicated Sulfur Soap*. These two products work together in unison to eradicate and keep away Tinea Versicolor without any chemicals or steroids, only natural essential oils. Can a natural treatment really work? This product is the only product I have found that works to get my Tinea Versicolor under control. I look great! For over 15 years, Bill and his team at Naturasil have led the indusry with innovative treatments for difficult and often embarrassing ailments. Naturasil is truely revolutionizing an industry they relies heavily on chemical pesticides and carcinogenic chemical ingrediants. Useing only powerful extracts and natures finest ingrediants these products work fast, by stimulating your body's own natural defences, not working aginst them! Naturasil's Tinea Versa Treatments are in a class of their own! 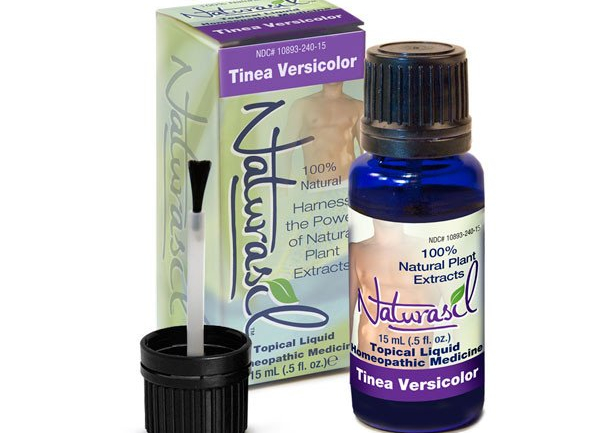 Get the all-natural, complete package for treating Tinea Versicolor. QUESTIONS? COMMENTS? WE LOVE TO HEAR FROM YOU! Copyright © Naturasil. All rights reserved.